A specific chiropractic approach to restoring health and spinal integrity at the craniocervical junction. 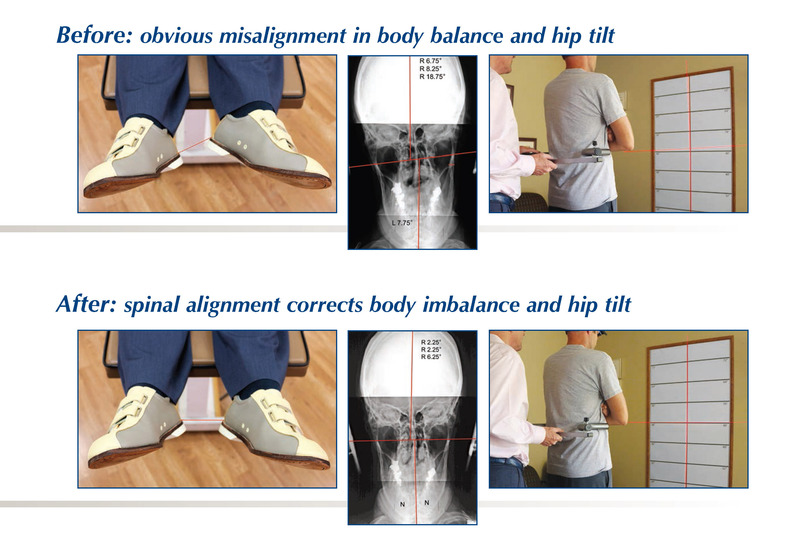 The Orthospinology doctor utilizes several methods to determine if interference to the nervous system is removed after the spinal correction is made. 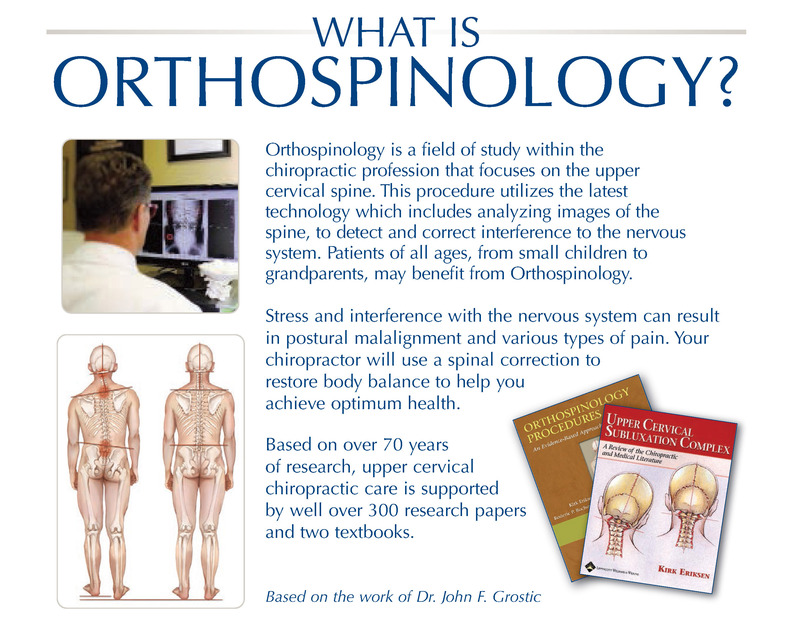 Go to Testimonial page to see patients with a variety of symptoms who received help from Dr. Eriksen's care using primarily the Orthospinology technique. "Thank you so much for the pain relief I have endured for over 20 years. Medical treatments previously given to me were: massive amounts of anti-inflammatory, Humira, Enbrel, Remicade, Minocin, anti-depressants, etc. ; numerous physical therapy treatments; psychotherapy; acupuncture; pain management clinic (Gabapentin in high doses, oxycontin). The side effects have been numerous: severe case of shingles from too much Remicade with lingering PHN, severe constipation with lifelong/life-changing consequences (see surgical procedures & medical history) and attempted suicide. I could go on but I think you get the picture. Oh, one more: at least 50 trigger- point injections in UE & same number in lower back. I am only one patient but I have a unique perspective as a 35 year career in nursing. You are on to something. I would ask that you continue active research with a focus on cervical realignment in management of FM. Again, I express my gratitude for your expertise and care. You have truly made a difference in my life." "Hearing loss in left ear, lower neck pain, eczema on index finger and thumb on left hand." "Finger and thumb cleared up completely. Hearing improved and no neck pain. Time involved 45 days."